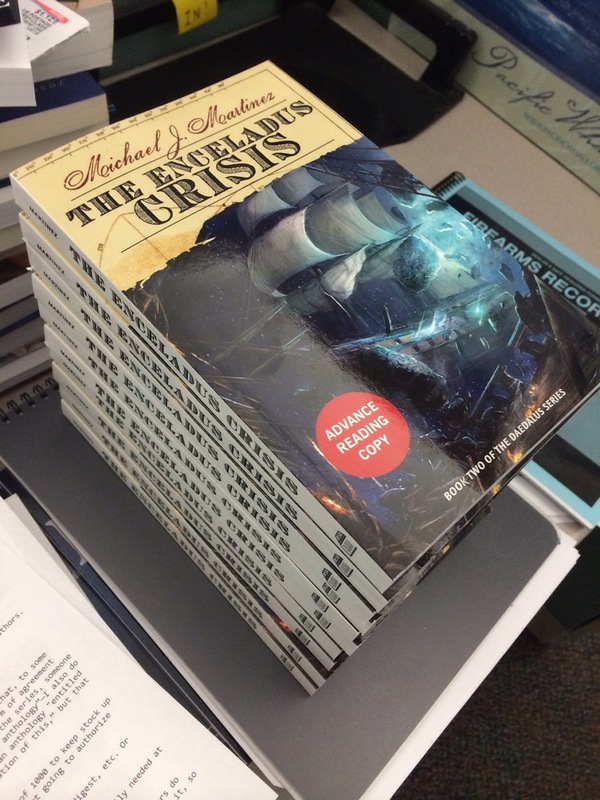 The Enceladus Crisis ARCs have arrived! Just look at them. SO VERY, VERY PRETTY. And yes, that’s a new cover. Not sure if it’s the final, but the art is fantastic. A book about sailing ships in space should have, you know, sailing ships in space on the cover. I’ll be receiving two of these babies. I only need one. Thus, you may see something soon on how you — yes, you! — might have a shot at the other. The Enceladus Crisis comes out May 6. Are you stoked? I’m stoked.